Some people read the Sunday Times, I more often than not, peruse cookbooks. I've amassed a collection, but among them Sophie Dahl's stands out. Her seasonal recipes are such a pleasure to read about. 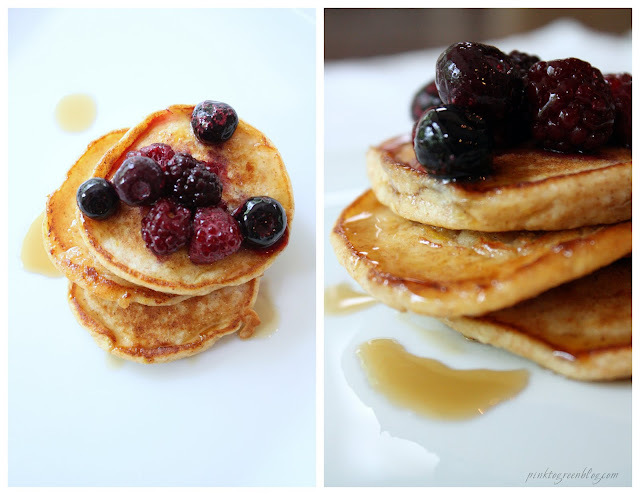 Yesterday, I revisited her book and discovered a new favorite- Lemon Ricotta Spelt Pancakes. Packed with flavor, these silverdollar-sized cakes also smell incredible as they cook. With mother's day coming up, wouldn't these would be a perfect breakfast in bed companion? In a large bowl, combine the ricotta, milk and egg yolks. Stir in the flour – there’s no need to sieve it – and baking powder and keep stirring until you have a batter. In a separate bowl, whisk the egg whites until foamy but not stiff and fold them into the first bowl. Add the lemon zest and agave or maple syrup and stir. In a large frying pan, heat the oil, and drop in small dollops of batter, about the size of a large chocolate coin. 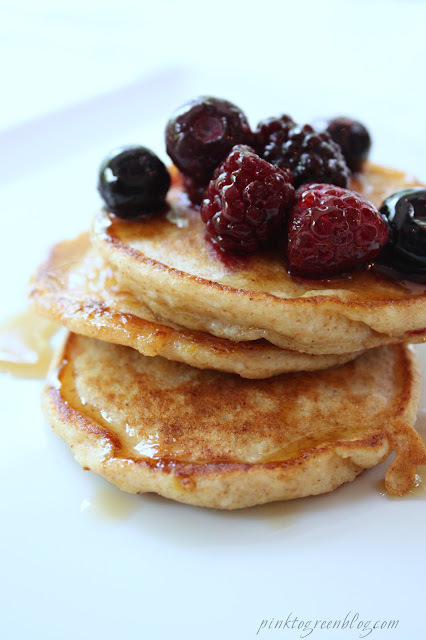 Cook the pancakes for about 1–2 minutes on each side; you want them to be a honeyed brown. These sound incredible! Thanks for the recipe! I want these now! Yum. Just made these and am 99.9% sure you meant 1 1/4 cups spelt flour. Worked for me!